Hello Frndzzz.... www.dealsnloot.com Again Back With New JustDail Loot Trick. JustDial - An app by which you can Find any nearest store, Branch of Bank and other company related info in this app / Shop Online at Discounts / Capare Hotel and other things prices easily. So this app is useful in real life also. As this post states Justdial app has come up with new Refer & Earn program in which you can earn unlimited real money by referring your friends to Justdial app. 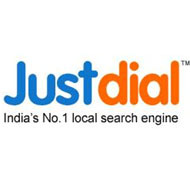 1) Download & Install Justdial App - Click Here. 2) Now Register your number. 3) Now After successfully registering, Click on " EARN " TAB at the bottom line of the app. 4) Now click on " Share And Earn ". 5) Choose any app to share via it.Like share it with whatsapp. 6) You will get Rs.15 Per Referral + 30% Of Referred Person’s Income. you can transfer your earning in Bank. 2) Enter Unregistered Mobile Numbers Each Time. 4) Now Simply Click on “Submit” Button. 6) Follow Same Process again and again to loot. ● You can Find any nearest store, Branch of Bank and other company related info in this app. ● 100 points = 1 Rs. And min. 50,000 Redemption points required to redeem. ● You can get your money via click on ” MY EARNINGS ” then click ” REDEEM ” And you can write your bank details to redeem your points as cash … so you will get 500 rs. Direct to your bank account. 1. 1st do all steps given above for genuine method.2. Now do titanium backup app+data and uninstall the app.3. Change imei, Install the app and change all privacy values in donkeyguard for justdial app. 4. Now register with new number and put your number everytime in ” REFERED BY ” option. 5. For verification of number just forward the sms to your mobile from other mobile number from which you had register. 6. If you can not forward then install fake sms app in your phone and insert fake sms of verification number and register on justdial. 7. You will get 1500 points in old account and do the above steps again and again to loot it. 8. After full loot log in with your old account by installing old backed up app and redeem from it.